2K today announced that Sid Meier’s Civilization® VI, winner of The Game Awards’ Best Strategy Game and DICE Awards’ Best Strategy Game in 2016, and the latest installment in the Civilization franchise, which has sold-in over 47 million units worldwide, is now available for Nintendo Switch™. 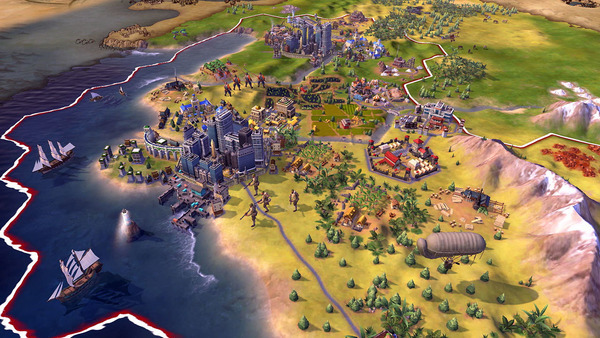 Developed for Nintendo Switch by Aspyr Media and Firaxis Games, a 2K studio, Sid Meier’s Civilization VI offers players new ways to interact with their worlds, expand their empires across the map, advance their cultures and compete against 24 historic leaders to build the greatest civilizations the world has ever known. Along the way, cities will physically expand across the map to create new and deep strategic layers, while active research in technology and culture will unlock new potential ways to play. Persia and Macedon Civilization & Scenario Pack. Gameplay on Nintendo Switch also enables up to four players to cooperate or compete for supremacy via local wireless network. Originally developed for Windows PC by Firaxis Games, Sid Meier’s Civilization VI was developed in collaboration with Aspyr Media to bring the beloved franchise to a new audience on Nintendo Switch. Sid Meier’s Civilization VI is rated E10+ for Everyone 10 and up by the ESRB and is available now for Nintendo Switch and Windows PC. The game is also available for iPhone, iPad, Mac and Linux from Aspyr Media.